Around 5.4 million dogs are raised as pets in Vietnam but only 2.1 million, or 39 percent, of the animals are vaccinated against common canine diseases, including rabies. The figures were revealed in a recent report by the Animal Health Department. However, these numbers were taken only from official registers and there could be many more dogs raised domestically without any registration or vaccination. Eighteen out of Vietnam’s 63 province-level administrative divisions currently have no report on their population of domesticated dogs. Each year, some 400,000-500,000 people in Vietnam seek preventive treatment for dog bites and scratches. Around 100 people die each year in the country from being bitten by dogs that have rabies, according to the same source. 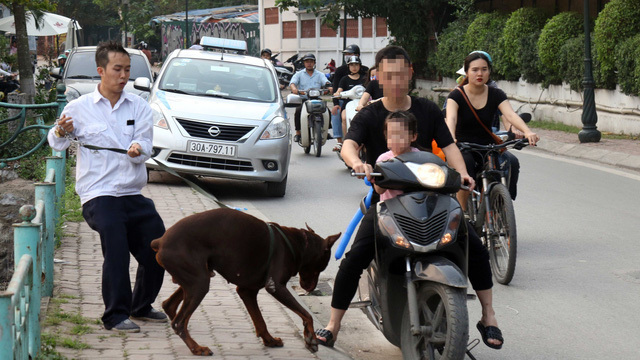 Earlier this month, a seven-year-old boy in the northern Vietnamese province of Hung Yen died from severe wounds he sustained during an attack by a pack of dogs raised by a local family that were allowed to roam loose. The tragic attack raised questions on the regulation, or lack of regulation, of dogs and pets in general in Vietnam. In August 2018, the administration of Ho Chi Minh City launched a citywide campaign to remove free-ranging dogs from its streets, carried out by a joint team of personnel from the city’s urban order watchdog and veterinary department. However, the team has already disbanded less than a year after its launch, according to an animal health official in the southern metropolis. Though some of the city’s 24 districts have established their own team of dog catchers, the management of the local canine population remains a challenge. 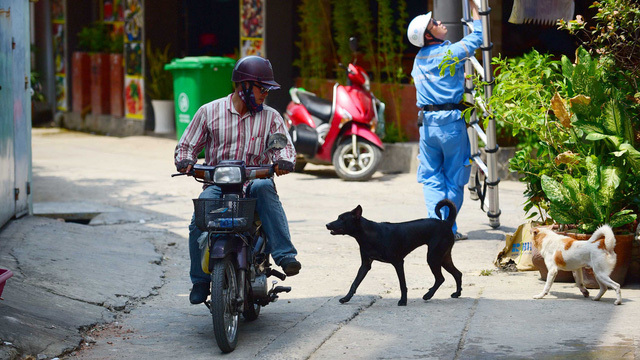 “It’s rare for dog owners in Vietnam to register their pets with local authorities,” said Nguyen Van Dung, head of the epidemiology division under Ho Chi Minh City’s Department of Animal Husbandry and Veterinary Medicine. “Without registration, management faces a huge hurdle,” he said.